Years ago, Morey’s engineering group was born out of a need to optimize customer designs in order to maximize their manufacturing event, as well as functional success in the field. Today, the team continues to support customer designs, but has expanded to collaborate and lead design initiatives aimed to bring your innovations to industry. Collaborating daily with peers across the organization, we focus on the engineering, testing and process improvements necessary to ensure products achieve the necessary functionality, quality and testing standards. The space between concept and commercialization can be vast and wide (and expensive) without a strong Design for Manufacturability (DFM) approach. With its roots in production manufacturing for high-reliability and highly regulated industries, we focus on the engineering, testing and process improvements necessary to ensure products achieve necessary functionality, quality and standards. As a major part of our drive to help clients commercialize technologies, design for manufacturability efforts critically evaluate design elements such as throughput, automation and assembly. In the broader application, the team is also involved in impacting product costs, quality, marketability and delivery depending on the unique manufacturing case at hand. Activities often include: Design review and recommendations, BOM scrub, design engineering support, life-cycle sustainment planning, test engineering, test spec development and systems engineering. To read our detailed engineering services, click here. Our Sweet Spot. Your Secret Weapon. For a variety of reasons such as limited design resources, new technology trends and shifting business interests, customers are looking to outside partners to create and build their new and updated electronic components. At the same time, concerns about intellectual property, regulatory requirements and proprietary knowledge may keep them from outsourcing the design process in its entirety. 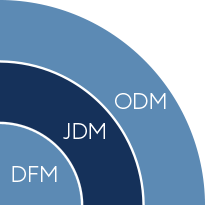 Enter the flexible and evolving practice of JDM, or joint design manufacturing. Morey is a resources to customers to bring any amount of support design services to your team – from a simple, but tedious task like file modifications to rapid prototyping to product redesign activities. Our team is passionate about keeping your programs on schedule and bringing innovative, profitable ideas and strategies to the table. 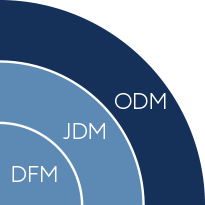 JDM capabilities include: Gerber modifications, schematic architecture, product architecture, board layout from schematic design, rapid prototyping, product characterization and analysis, source design files, legacy conversion, product realization and feasibility, application redesign, product repackaging, product debugging and product reuse – to name a few. To read our detailed engineering services, click here. 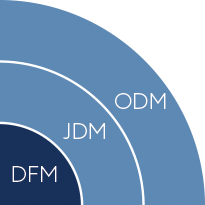 The majority of Morey’s ODM experience involves the design and development of custom and custom-off-the-shelf wireless devices, utilized in many of today’s M2M applications, such as fleet and asset management, connected products and IoT technologies. Morey’s dedicated team of telematics and wireless device experts developed the award-winning Morey Connect series of telematics products, including the vehicle-powered MC-3 products and the battery-powered MC-1 products. Learn more about our M2M Solutions Group here.